Every now and then a gal must splash out and treat herself, what better way to do that than with a new pair of shoes? Pom Poms are a huge trend this season and I absolutely love them, they're so summery and the perfect way to add your own personal style to your outfit. They are sure to grab everyones attention and perfect for your holidays. I have pulled my top ten from the high street to make it a little easier for you to find the perfect pair. Not sure if you have noticed but the high street and online stores have seriously stepped up their shoe game recently and they have so many different style to suit everyone. 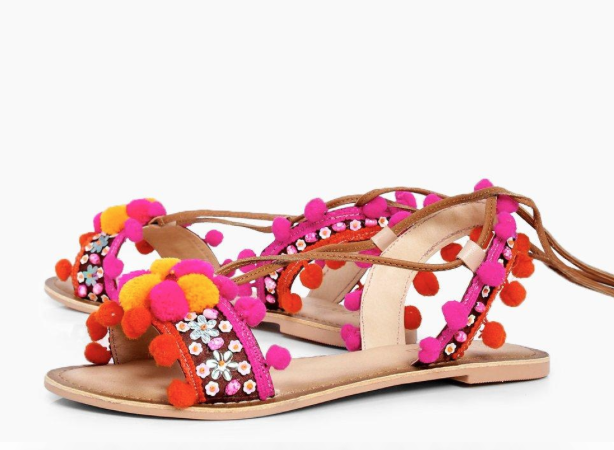 Check out my top ten fave pom pom shoes right now that are both stylish and versatile for some inso for your next pair! 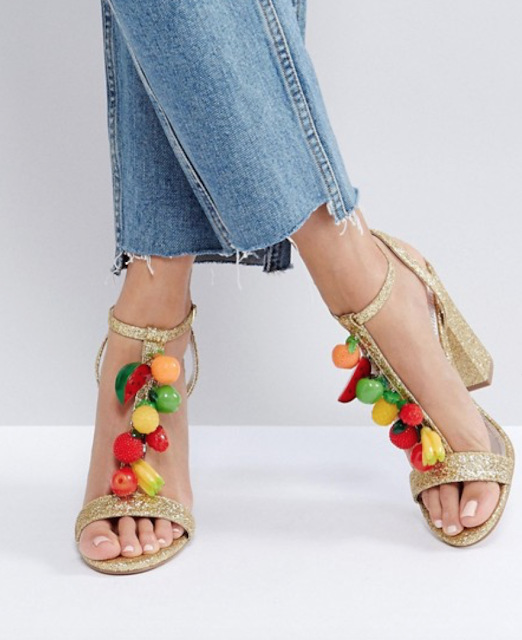 Can we just take a second for these Happy Fruit Heels, they are so adorable and they will catch the attention of everyone. 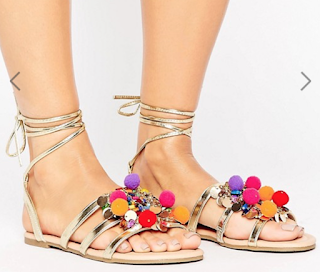 They are from ASOS and you can shop them here. 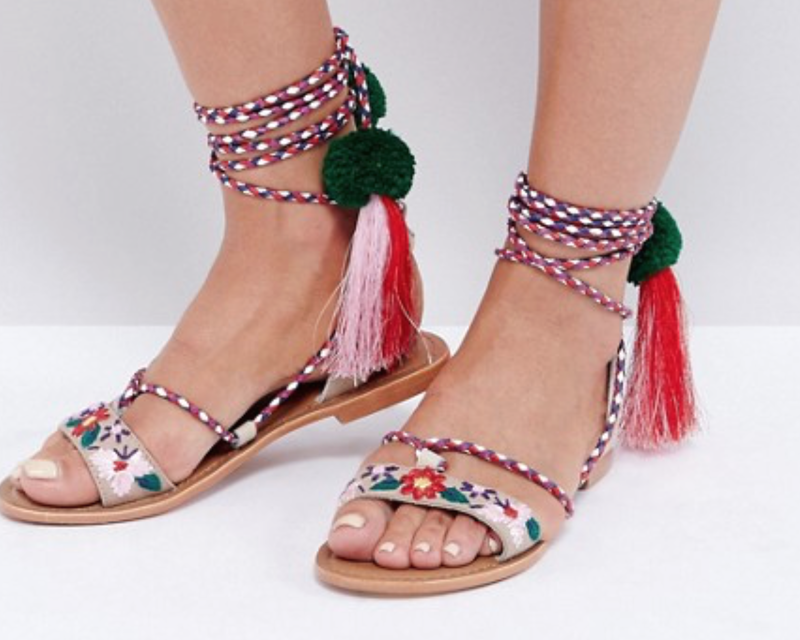 Check out these simple ones from TopShop If you're only new to the pom pom trend then maybe ease yourself in with these beauties. 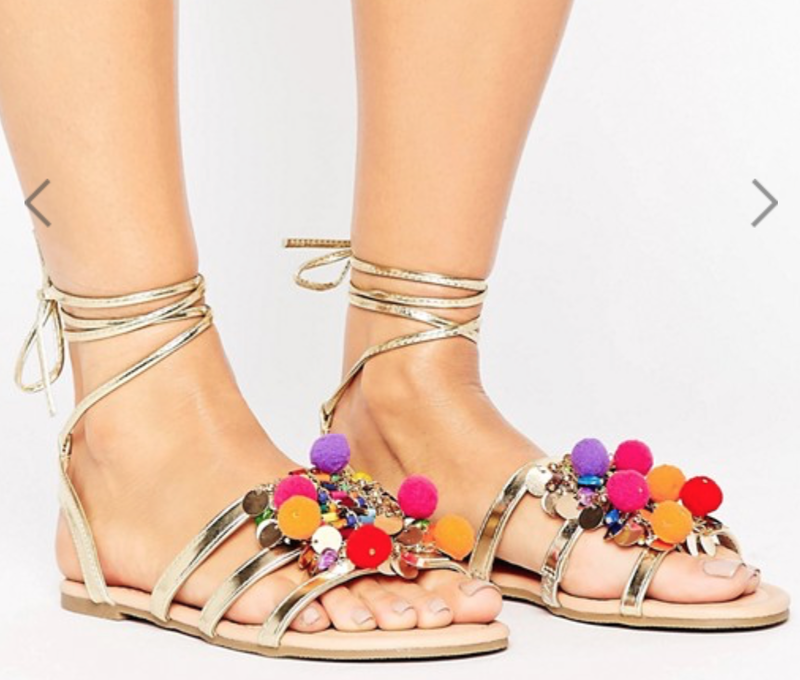 Here are my top 3 pom pom covered shoes from ASOS They make any outfit super summery and cute. 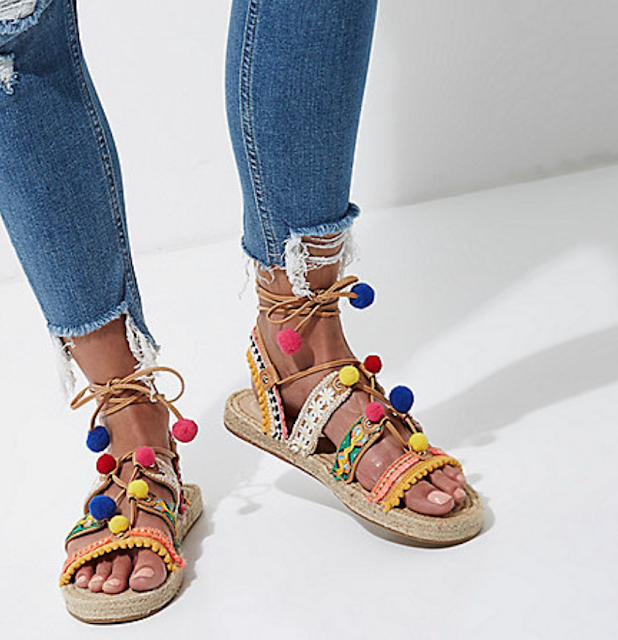 ASOS frenzy Pom Pom Flat Sandals here. ASOS pom & Tassel Flat Sandals here. Pink & Black pom pom heels here. 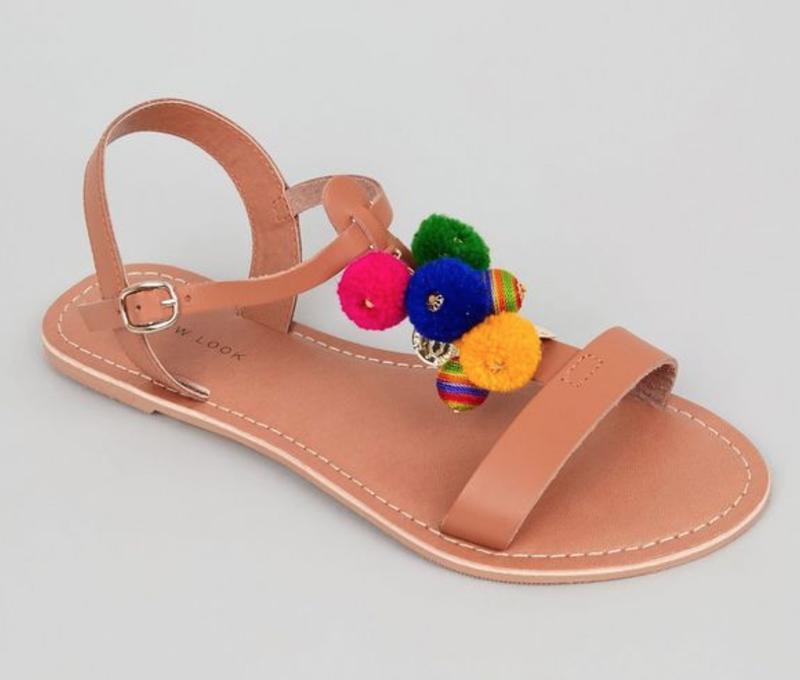 Newlook are keeping it simple with these cute flat sandals here. 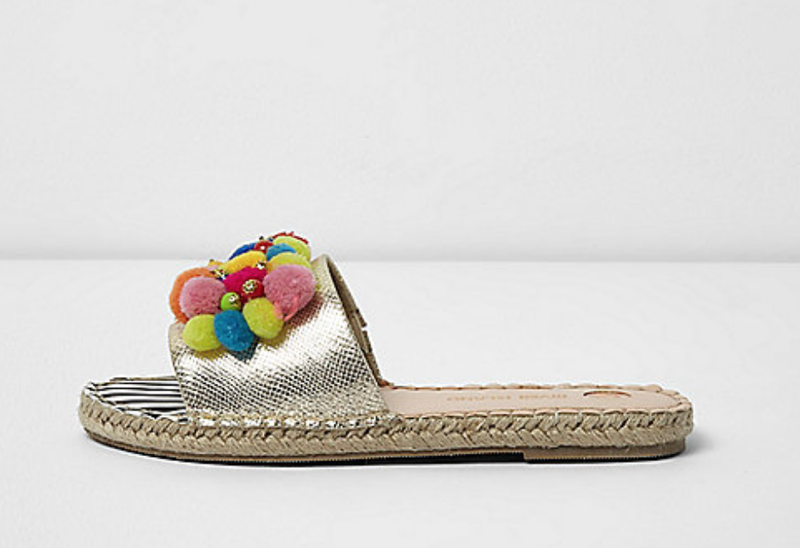 These sliders from River Island are just gorgeous, very different from the normal sliders that all the high street stores have and they would really dress up a casual look. I adore these tie up sandals, they are perfect for your summer vacay or for those days when Ireland looks like somewhere off a postcard. They would be gorgeous with a summer dress, a straw hat and sunnies. 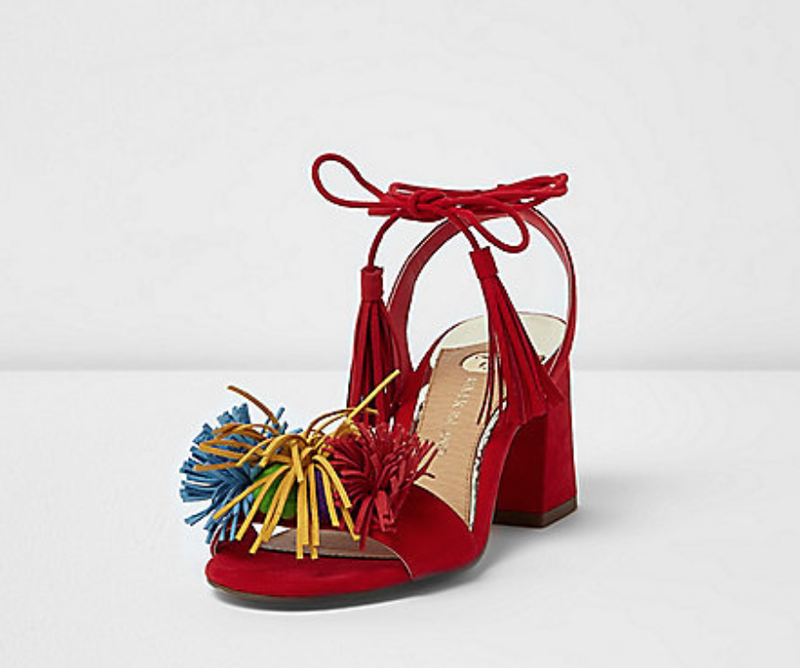 Shop them here from River Island. These beauties will definitely take you from summer to autumn and will be perfect with jeans when the colder months roll in. I love the mix of tassels and pom poms.